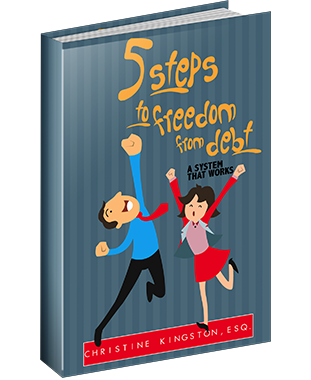 Are you Serious about Getting out of Debt? Really? Are you looking for the cheaper, better, and faster way to permanently get rid of your debt? Explore all of your options and learn which option is best for you. Learn legal ways to Stop wage garnishment, foreclosure, repossession, lawsuits and all collections.